Monday morning I was glued to my computer to watch the live stream of the ALA Youth Media Awards. Were you? Most people were excited to find out who won the Caldecott and Newbery Awards, but I was looking forward to the Sibert announcement, and I wasn’t alone. 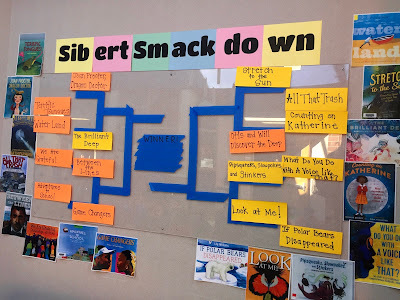 A growing number of students participated in the #SibertSmackdown, and they wanted to know if the books they’d championed would be selected by the actual Sibert committee. 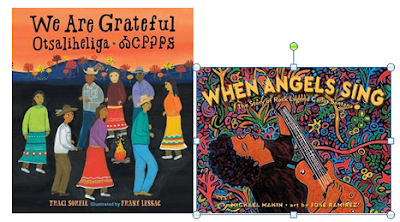 As you probably already know, two picture books were selected by the committee as Sibert Honor titles. We Are Grateful: Otsaliheliga by Traci Sorell, illustrated by Frané Lessac, was on my Sibert Smackdown list, but When Angels Sing: The Story of Rock Legend Carlos Santana bv Michael Mahin, illustrated by Jose Ramirez, wasn’t. In fact, I’m sorry to say that I haven’t even read it. I need to fix that quick! 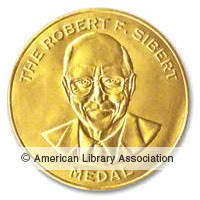 Today, I wanted to share some of the great #SibertSmacktown activities that teachers and librarians developed to build excitement for the award. In California, Alyson Beecher (@alysonbeecher) worked with six classrooms. 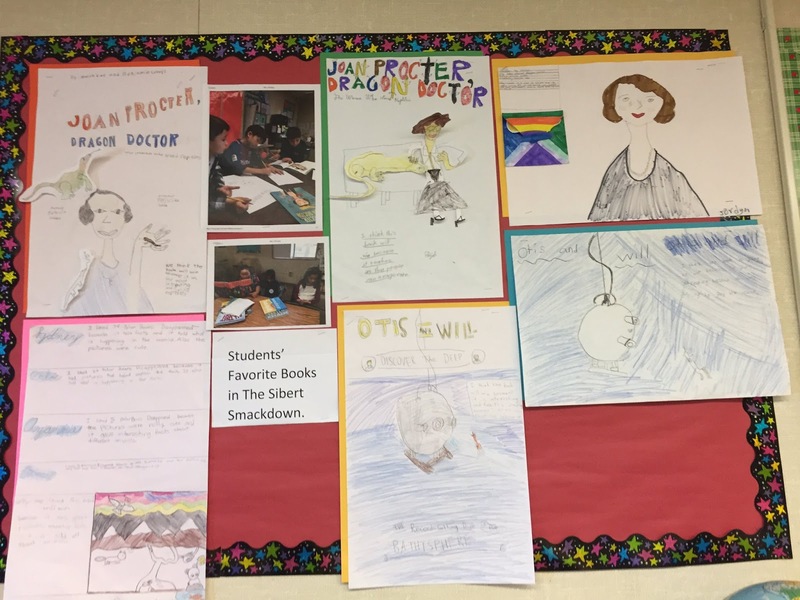 Some of the students created posters for their favorite titles. 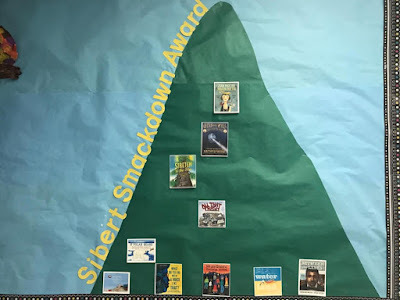 Others created a book mountain and placed the books that received the most votes at the top. Fun! 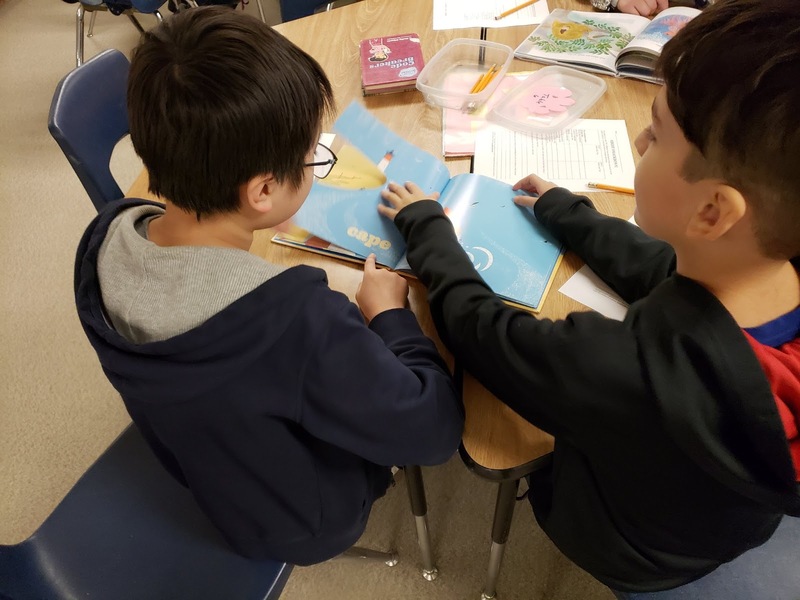 In Massachusetts, Kate Narita (@KateNarita) asked teams of students to write persuasive essays to share what they admired most about their favorite books. Here are some examples. And here are some more. The class's overall winner was Between the Lines. 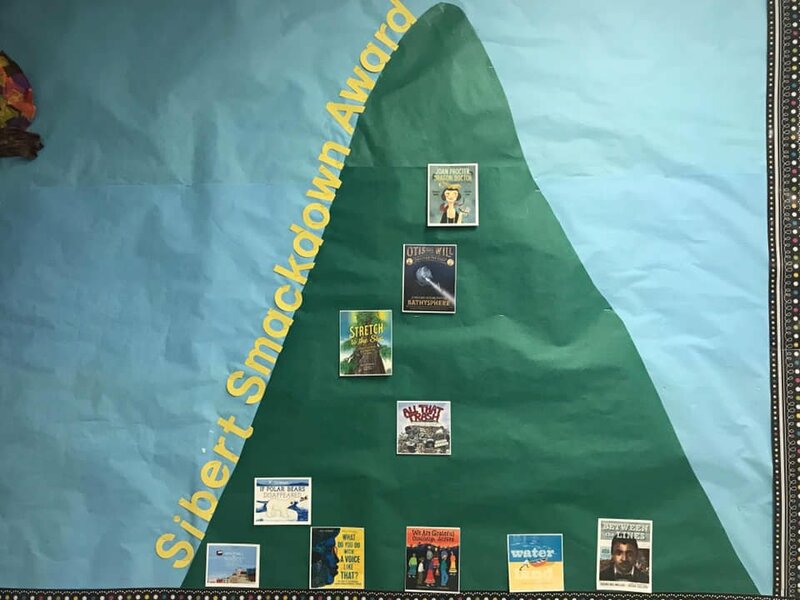 In Upstate New York, students in Stacey Rattner’s (@C_ESLibrary) school skyped with authors and illustrators of some of the #SibertSmackdown titles. They also created slideshows about their favorite Sibert contenders. 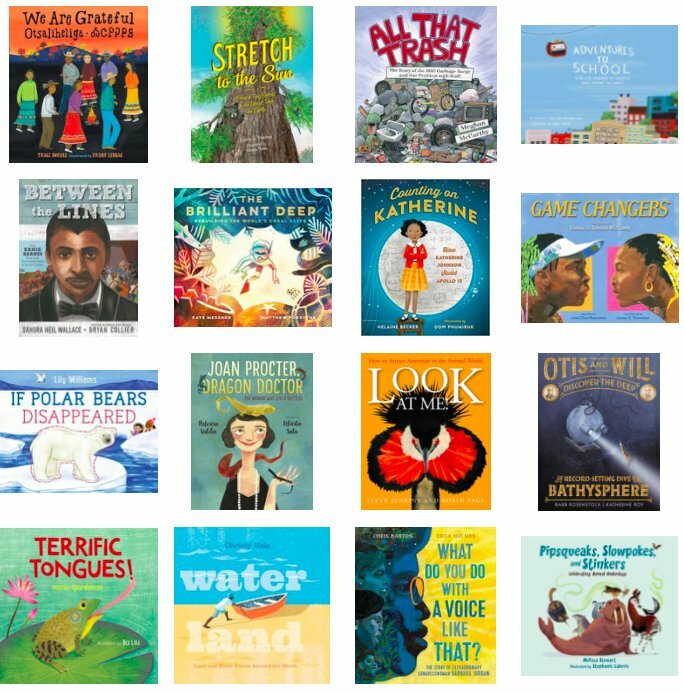 Here are the books a school in Colorado read and discussed. Ms. Jaimes (@msjaimes) cleverly adapted March Madness Nonfiction brackets for a Sibert-related activity. Which book won? It was a tie between Otis and Will Discover the Deep and Game Changers. Look how engaged these students from Washington (@LibraryFW) are as they discuss Water Land. “As I read the words ‘Breathe in. Breathe out.’ in Otis and Will Discover the Deep. 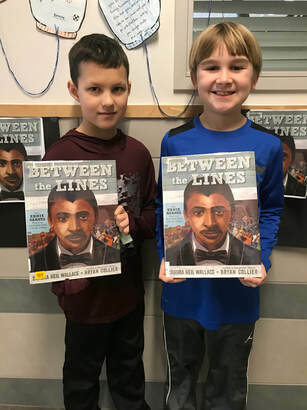 One student’s said ‘I didn’t realize I was holding my breath until you said that.’"
That quote is a perfect example of the incredible power of a great nonfiction book. wonderful projects! great work teachers. Thanks for this recap, Melissa. Wonderful to see all the engagement and nonfiction study happening across the country!